It's that time of the month for the YNS DT Dare! This month's challenge is Layers. 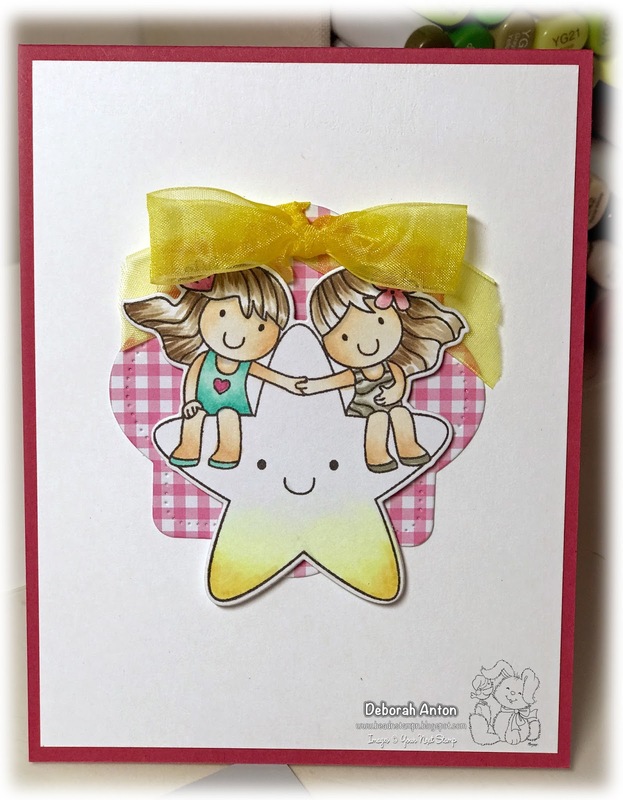 For my card, I am using the new release set of Star Friends. How cute are these two girls? I stamped the image and colored it in with Copics before cutting it out with the coordinating die. 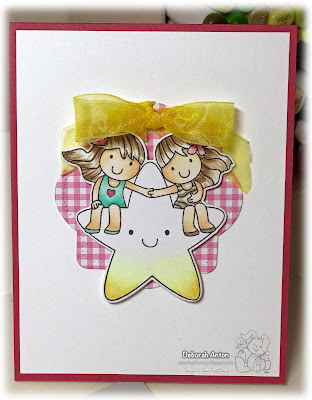 I then layered that cut out with the newly released Cool Tag Five die. The outside of the card was cut out using the Circle die set and the Circle Stitching Marks die set. I finished the card with some fun gumdrops and heat embossed at the bottom, the sentiment. 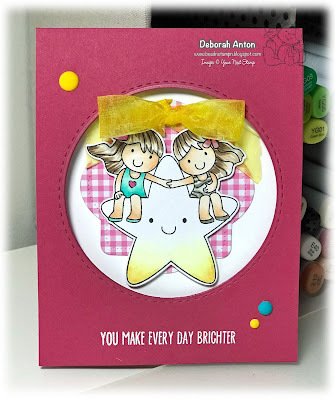 Don't forget to stop by the YNS Blog to see all the fun creations by the DT and leave a little love while you are there. Your comment will be entered into a random drawing to win a stamp set of your choice! Thanks for stopping by! Absolutely precious Deborah, I love a window card and this image is perfect for one. A great job on this as always.